The Seattle International Film Festival (SIFF) is recognized as one of the top film festivals in North America. Founded in 1976, it is now the largest, most highly attended film festival in the United States, reaching more than 140,000 annually. The 25-day annual festival is renowned for its wide-ranging and eclectic programming from over 80 countries, presenting over 400 features, short films, and documentaries. Their 600 screening events require coordination across a dozen venues throughout the city. In addition, SIFF Cinema exhibits premiere theatrical engagements and film showings 365 days a year at three different venues, reaching an audience of more than 300,000 viewers every year. 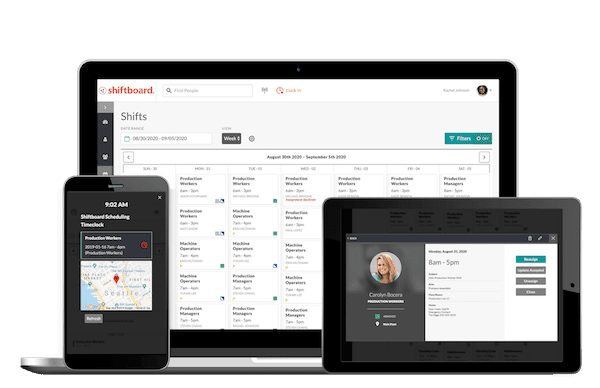 Shiftboard’s cloud-based scheduling software provides a round-the-clock scheduling and communications solution for every SIFF festival. It takes well over 700 active volunteers and at least 100 paid/regular, contract, and hourly staff to smoothly run the festival operations each year. Like most festivals and seasonal events, many SIFF volunteers are new and need to be brought on-board quickly. With such a steep volunteer ramp-up before each event, online scheduling and recruiting tools that require minimal training are critical. SIFF needs trained staff to host over 400 films across multiple screening venues, as well as stage numerous industry parties, special events, and other activities. SIFF requires at least 4,500 positions to be scheduled and reliably filled by qualified volunteers and staff members. Such roles include: usher, box office, theater operations, special events and hospitality, office/clerical, promotions, and dozens of others. Shiftboard’s hosted software system provides SIFF with 24/7 access to scheduling and staff communications. SIFF is one of Shiftboard’s earliest not-for-profit customers, having used the system for event volunteer scheduling since 2005. Before Shiftboard, Hammond relied heavily on multiple spreadsheets to manually track employee availability, employee qualifications, shift assignments, time-off requests and many of the other scheduling influencers. Web registrations, group communications, and complete access to online scheduling 24 hours a day, seven days a week — from any web browser. Color-coded schedule views, sign-in sheets, email reminders and confirmation of upcoming shifts. Ability to view, print and report entire schedules from a single source.